The walls of Iran command us, they preach. Since the revolution of 1979, public and governmental walls in cities throughout Iran have been covered with slogans. Such slogans tell us how to live our lives; they give us moral advice — ordering, banning, commenting on the righteous path (for there is one). Unlike, say, graffiti movements of the 1980s in New York (the Clean Train Movement, Basquiat, and Keith Haring), these writings are not a form of social or cultural revolt. Instead, they function as a sort of state-sanctioned propaganda; the walls surrounding our cities belong to the same organizations that control the coma-inducing media. They issue from the same aesthetic blueprint, too. We cross the streets, admonished to do this and avoid that, but how often do we actually see these writings? Though they’re part of our visual repertoire, they remain invisible, even unrealized. 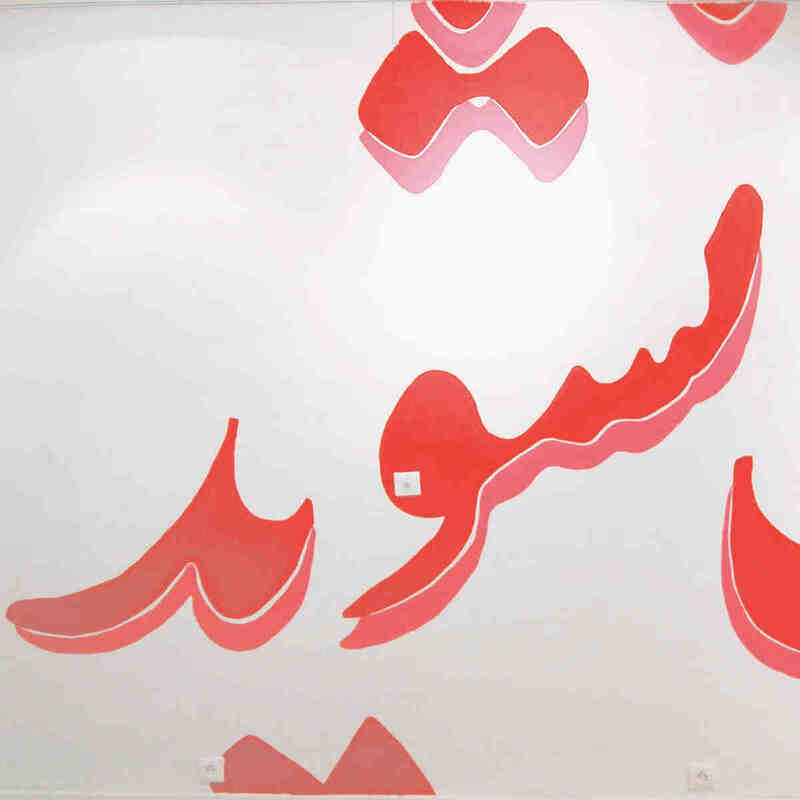 In Untitled (do not give your opinion), Nazgol Ansarinia removed the verbs from these sentences (“go” “beware” “seek”) and reproduced them on the walls of Fereydoun Ave’s small white cube gallery space. Ansarinia, who often takes everyday life as her inspiration, in effect infused the words with new life — raising subtle questions about the lines separating art from propaganda, the banal from the exalted. On the right-hand wall just inside the gallery space, the phrase “Do not Approach” was reproduced in a 1:1 scale — as if on a real city wall — asking the docile spectator to contemplate an everyday experience, to track the traces of this specter in his or her image-repertoire. Hung on the remaining three walls were a collection of verbal imperatives, each executed on cardboard. Detached from their original context, these words were recontextualized in the galley space, possessing the indexical quality of photography. Meanwhile, a video played in the window of the space, a street scene of a wall phrase caught in real time, eerily mirroring the outside world before it. Most people passed by the video ignorant of it, leaving it, like the wall writings, completely unnoticed. And there lay the strength of the work, and of the exhibition in general — it didn’t hit you over the head with its politics, nor did it present a fetishized view of third-world propaganda. It was both of and about the subject it purported to speak for. However, if you looked too quickly, you could have missed its essence entirely.